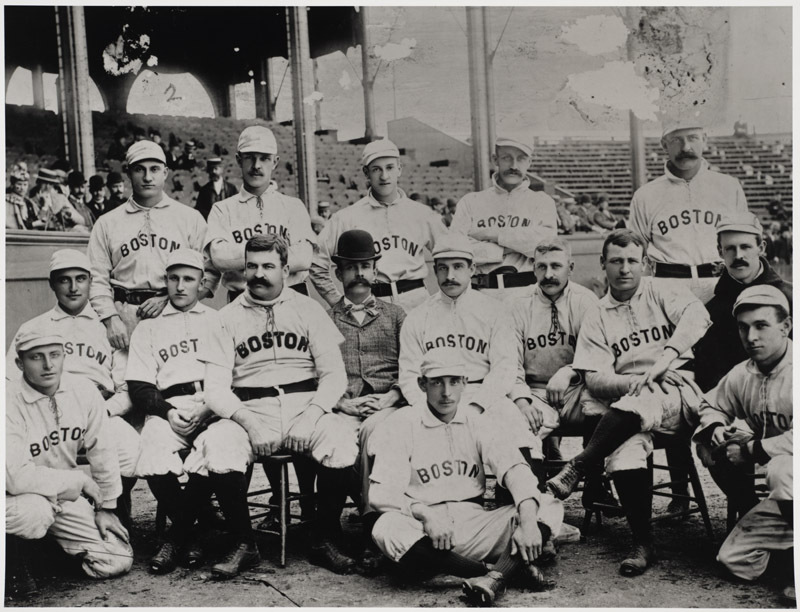 A lengthy investigation into the alleged thefts of baseball artifacts from the New York Public Library, Boston Public Library and National Baseball Hall of Fame, has confirmed claims that each institution has experienced significant losses to their historic baseball collections. Based upon evidence gathered in its investigation, Hauls of Shame announces its “Ten Most Wanted Missing National Baseball Treasures.” For decades historic items from these important collections have sold both publicly and privately on the “black market of baseball artifacts.” Hauls of Shame releases this list in an effort to raise public awareness in the baseball research and collecting communities and to aid the recovery efforts of both law enforcement and the victimized institutions. If you have any information regarding the whereabouts of these missing items please contact us at: tips@haulsofshame.com. We also suggest that you contact the New York office of the FBI at: ny1@ic.fbi.gov to report any information that might be helpful to the on-going investigations and recovery efforts. 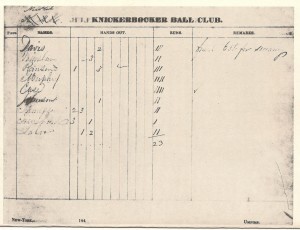 Origin:The score-sheet pages were once bound in the Knickerbocker Base Ball Club Score Books. These volumes were donated to the NYPL in 1921 by the widow of A. G. Spalding, but were originally bequeathed to Spalding in 1907 by Hall-of-Fame baseball writer Henry Chadwick. Last Appearance: A photograph of one of the missing score sheets was reproduced in the 1973 edition of author John Durant’s Pictorial History of American Sports(A. S. Barnes & Co.) The sheets were discovered missing in 1988 when historian John Thorn was trying to locate the pages on microfilm. The pages were missing before the manuscripts in the Spalding Collection were microfilmed in 1983 as part of a joint effort conducted by Thorn, SABR, the Baseball Hall of Fame and The Sporting News. Evidence of Theft:Two remnants of pages appear to be left behind in the volume. 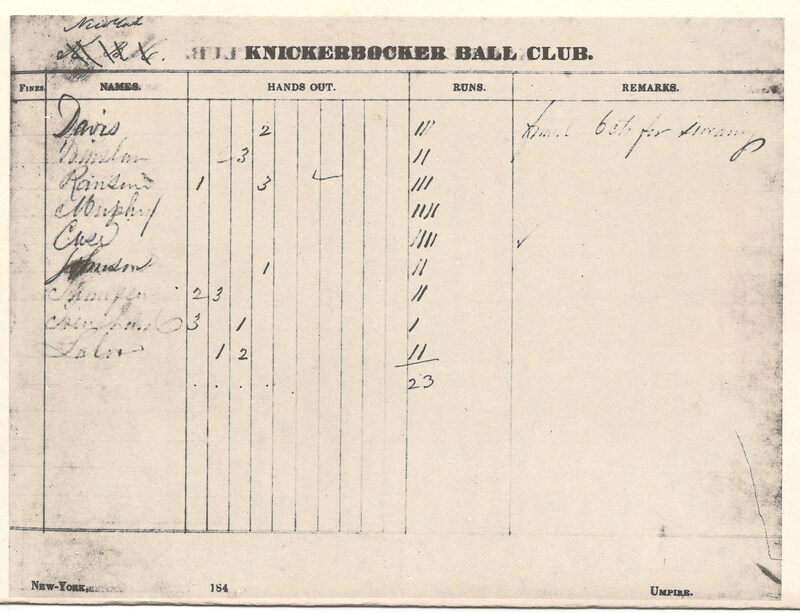 Under close examination, it appears that the score sheets were removed from the Knick Game Book with a sharp object. Origin:Donated to NYPL in 1921 by the widow of A. G. Spalding. Originally bequeathed to Spalding in 1907 by Hall-of-Fame baseball writer Henry Chadwick. Included in an NYPL scrapbook: Knickerbocker Base Ball Club Correspondence Vol. 1. In addition to this letter, there are at least six other documented “Knickerbocker Challenge Letters” in private collections. All six have been wrongfully removed from the NYPL’s Knickerbocker Correspondence Scrapbook. Two of these letters appeared in the 2005 publication, Smithsonian Baseball: Inside the World’s Finest Public Collections. Origin:Donated to the NYPL in 1921 by the widow of A. G. Spalding. Originally bequeathed to Spalding in 1907 by Hall-of-Fame baseball writer Henry Chadwick. Last Appearance: The original photograph, which was originally included in A.G. Spalding’s America’s National Game (1911), was shot for inclusion in the 1922 publication of the book series Pageant of America: Annals of American Sport. Evidence of Theft:A c.1920 silver gelatin print of the original photo is still part of the NYPL’s photography collection, however, the 1859 original is missing. All that remains in the Spalding Collection in regard to the 1859 photo is a negative print of the original. Origin:Bequeathed to “The National League and American Association of Professional Baseball Clubs” by Harry Wright in his 1895 will. Subsequently acquired by A. G. Spalding as a baseball franchise owner/league executive and later donated by his widow to the NYPL in 1921. Last Appearances: Included on page 37 of Robert Smith’s 1961 Baseball in America with a photo credit to the New York Public Library. Sold for $9,202 by MastroNet Inc. in their November, 2000 auction. The photograph’s inscription is written in pencil by Wright himself. 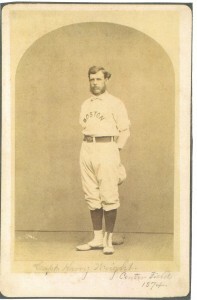 The NYPL “Spalding Collection” still retains cabinet photos of nearly all 1874 Boston players, all inscribed with name and position by Harry Wright. 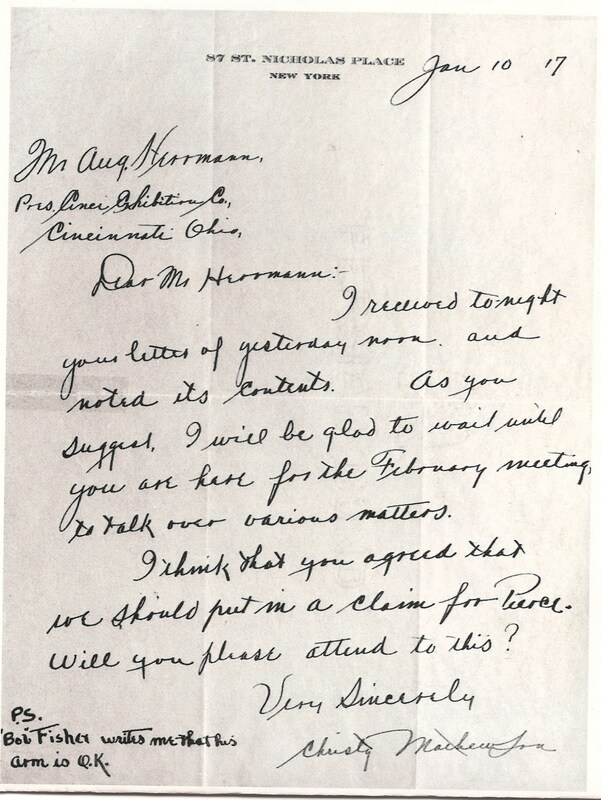 In the 1950’s pioneering baseball historians Dr. Harold Seymour and his wife Dorothy utilized the Wright Correspondence as source material for Seymour’s 1956 Cornell University dissertation entitled: The Rise of Major League Baseball to 1891 and his book, Baseball: The Early Years (Oxford Press, 1960). In the course of their research, the Seymours took copious research notes quoting passages from letters and documents included in all four Harry Wright Correspondence scrapbooks. The Seymours donated their own archive of research materials to Cornell University where they are now housed in the Carl A. Kroch Library as part of the University’s Rare and Manuscript Collection. “Committee of Nat. Assoc. of B. 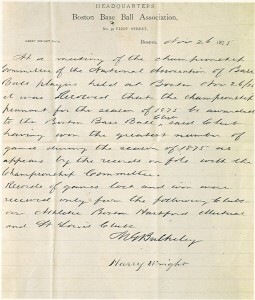 B. players resolved to award pennant to Boston for 1875- said club having won most games as appears from records on file. The NYPL retains only volume 2 of the Wright Correspondence Scrapbooks, which contains more than 400 documents. The missing (3) volumes of correspondence may contain close to 1,500 documents with an estimated value exceeding $1,000,000. Origin:Donated by Michael T. “Nuf Ced” McGreevy to the Boston Public Library in 1923. Part of a larger collection of McGreevy’s pictures donated to the BPL that once were on display in his “3rd Base Saloon” in Roxbury, MA from 1894-1920. Evidence of Theft:In the 1970’s the Boston Public Library took photographs of many of the items included in their “McGreevey Collection.” An image of the 1892 Boston team captured in the 1970’s is presently part of the BPL’s digital collection on their website. 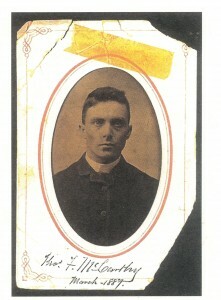 The 1892 photograph appears under accession number 06_06_000159 and is described as, “Copy print of original photograph missing and presumed stolen from the McGreevey Collection.” The photo on the BPL website is the exact photo offered at auction with matching surface damage unique to the McGreevey Collection item. 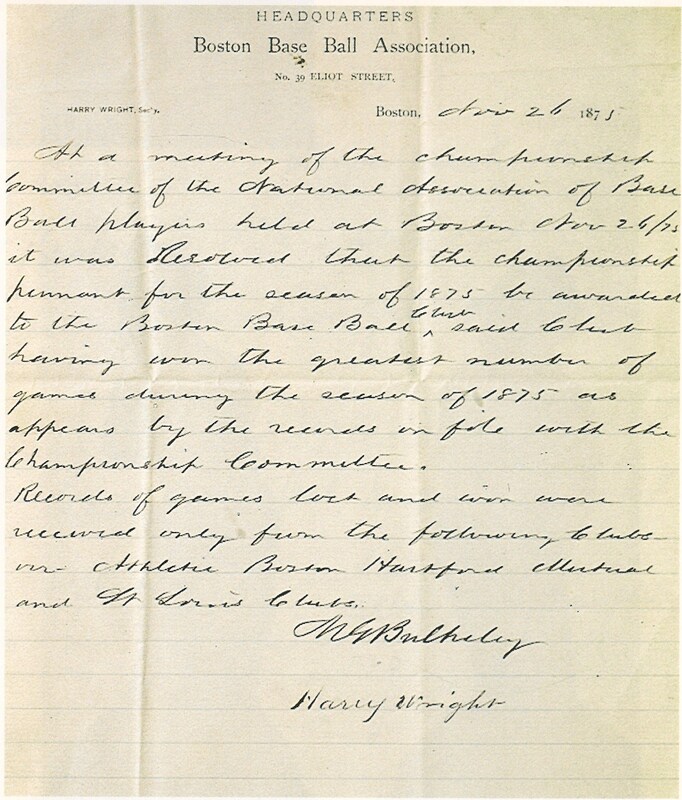 Evidence of Theft: In July of 2009 two other letters written by Jim Devlin to Harry Wright were included in the MLB All-Star Weekend Auction conducted by Hunt Auctions. 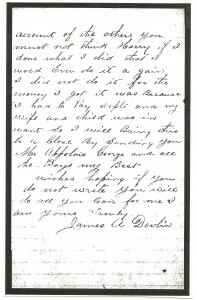 Baseball historian Dorothy Seymour Mills provided information to the FBI confirming that the (2) 1877 Devlin letters in the auction were cited by her husband (with a credit to the NYPL’s Harry Wright Correspondence Collection) in his 1956 Cornell dissertation and his book, Baseball: The Early Years (Oxford, 1960). 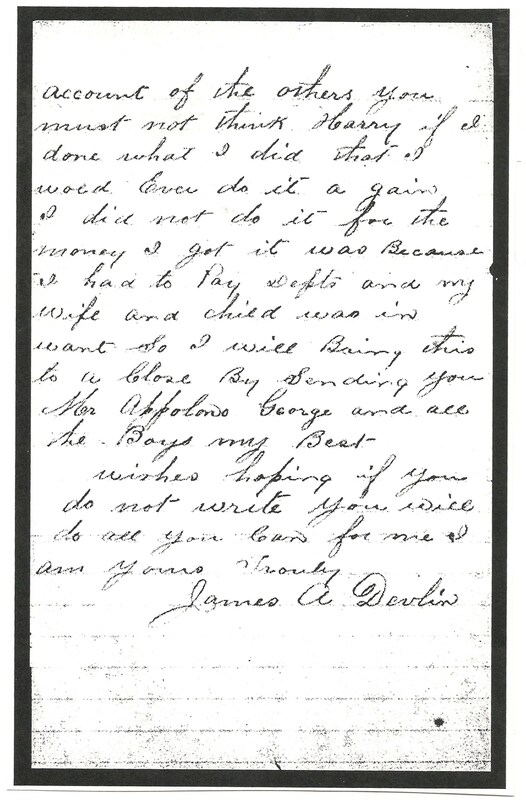 The MLB Auction offerings were removed from the sale and the FBI subsequently took possession of both Devlin letters. The NYPL collection has two additional Devlin letters remaining in their Harry Wright Correspondence Scrapbook, Volume 2 (1878-1884). 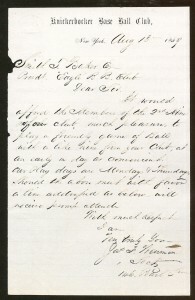 The letter included in Sotheby’s sale of the Barry Halper Collection is the final missing Devlin letter from the Wright Correspondence Collection, and was originally pasted into Volume 1 (1865-1877). Origin: Thomas F. McCarthy died on August 5, 1922 in Boston, MA. If he executed a Last Will and Testament it would be filed in the Suffolk County Probate Court.In the April 12, 1982 edition of Sports Illustrated, writer Robert Creamer reports that legendary baseball memorabilia collector and minority owner of the NY Yankees, Barry Halper, “…tracked down a relative who found Tommy’s will, signed two days before his death.” Creamer states that Halper paid $150 for the document and that the acquisition of the McCarthy signature completed Halper’s collection of signatures for every member of the Baseball Hall of Fame. Evidence of Theft:In 1998, a Suffolk County Courthouse employee named Joe Schnabel pleaded guilty to numerous thefts of the wills and probate files of various Baseball Hall-of-Famers. In the course of the investigation it is confirmed that the will of Thomas McCarthy is missing from the Suffolk County Probate Court. Barry Halper is reported to have been questioned, but the McCarthy will was never returned. Schnabel never admits to stealing the McCarthy will. Schnabel started stealing documents from the court in the early 1990s, years after Barry Halper already had the McCarthy will in his possession. Evidence of Theft:The Baseball Hall of Fame’s “Herrmann Papers” archive includes separate files dedicated to all of the correspondence Herrmann received from his manager, Christy Mathewson. 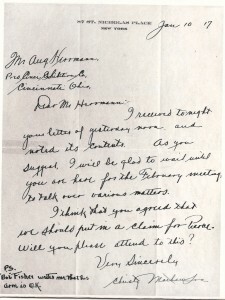 Folder 25 in the collection includes all of the Mathewson correspondence to Herrmann spanning from 1916-1919. In particular, there is a series of letters written by Mathewson in January of 1917. The letters were written by Mathewson on January 5th, 6th and 8th on his personal stationary which included his home address of “87 St. Nicholas Place, New York.” The letter offered by Sotheby’s was dated January 10, 1917 and written on the exact same stationary. It appears to be missing from the National Baseball Library files. Origin:Donated to the NYPL in 1921 by the widow of A. G. Spalding. Originally bequeathed to Spalding in 1907 by Hall-of-Fame baseball writer Henry Chadwick. Included in an NYPL scrapbook: Knickerbocker Base Ball Club Correspondence Vol. 1. Evidence of Theft:The letter was sliced from the Knick Correspondence scrapbook with a sharp object leaving behind a portion of the letter that was originally adhered to a scrapbook page by the NYPL in 1921. 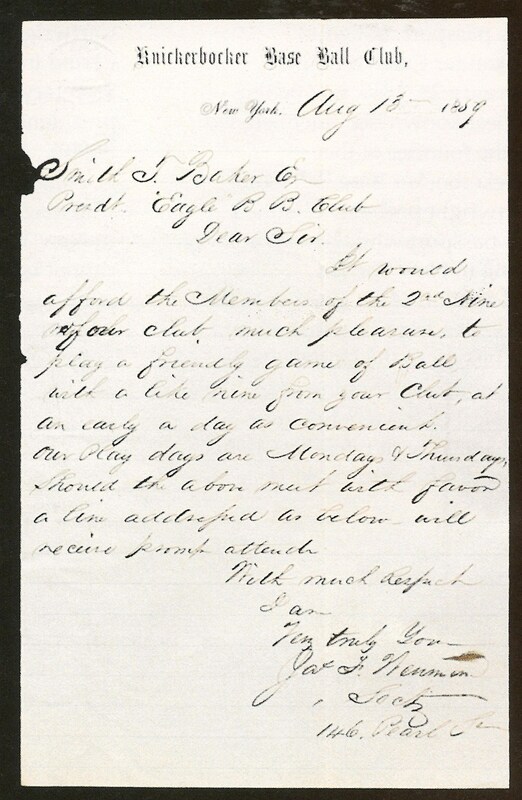 The letter auctioned by REA has the same embossed stationers mark and the reverse of the page still affixed to the NYPL scrapbook reads: “Acceptance of Challenge to Excelsior BBC, May 19th 1859, Rec’d “20.” In addition, the same NYPL scrapbook page still retains a copy of the letter written by the Knickerbockers to challenge the Excelsiors on May 10, 1859. Just wondering if you recall whether there was an 1874 cabinet of James O’Rourke? 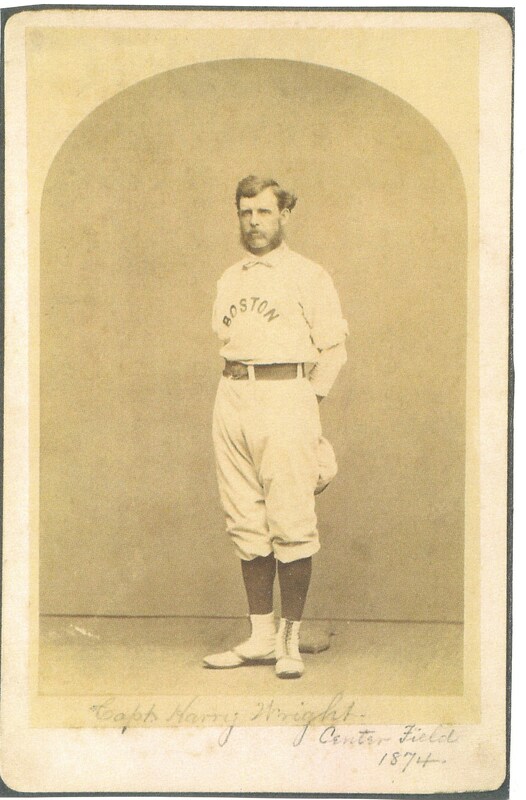 Also, I understand there is a Spalding Collection photo of his brother John O’Rourke who played with Boston in 1879-1880. I am one of Jim O’Rourke’s descendants and would like to know if an image of either of these two photos exists. How many of these items have been retrieved? I know the Devlin letters from Hunt’s were retrieved…any of the others? Thanks for your interest. Unfortunately it appears that the photograph of your relative (John O’Rourke) was stolen from the NYPL’s Spalding Collection sometime before an inventory was conducted in 1987. The photograph appears on the NYPL’s “Missing List” (which appears on our “Links” section. Hopefully it will be recovered. To the best of our knowledge all of the “10 Most Wanted” items featured in our story are still missing and have not been recovered. It seems to me that it should be easy for the FBI to track these items once they’ve been auctioned off in a house auction. Certainly Sotheby’s has a record of who bought all those stolen items in the Halper collection. Stunning, to see the major auction houses that have been used to move this material. I hope all involved make the effort to undo the damage to our baseball history and get these items back into the collections that they were stolen from. Researchers and writers need access to these historically significant artifacts. I would hope the “owners” of the still missing items do the right thing. And, if not…Law enforcement deals with them harshly. A few years ago, I noticed a baseball guide on Ebay that appeared to have been stolen from the NY Public Library. Over the phone, they confirmed that it was from their collection, but did not seem concerned. Ebay would not answer me when I contacted them about it. I have yet to find anyone in law enforcement interested in this. Auction houses should do research prior to sale, to maintain their own credibility. Did they not discover any evidence of theft during that process? Or did they not care? And the comment above is correct – they should be able to track their sale and retrieve the items for the repository of record. Shame on the thieves and the auction houses, both! 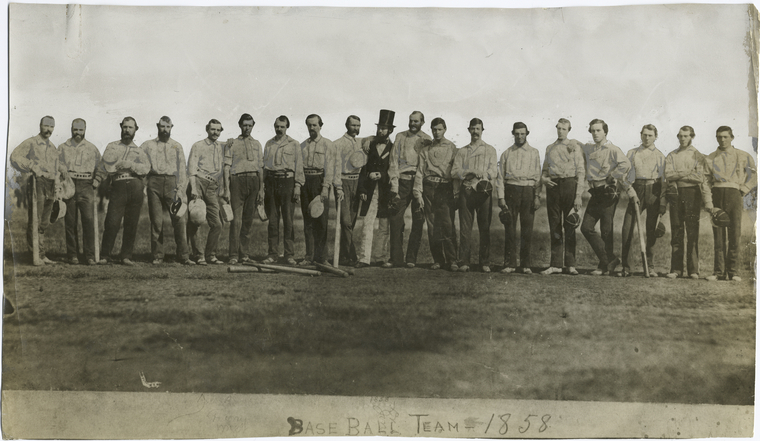 An article by Mark Singer in The New Yorker in 1998 reported that most of the famous A.G. Spaldling Collection had been “dispersed.” The original of the 1859 Base Ball Player’s Pocket Companion was sold for $6,500 to the Library of Congress. 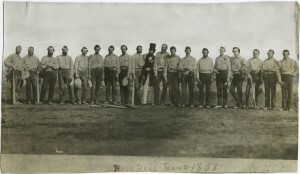 Much of the great A.G. Spalding Collection’s baseball guide and pamphlet archive, including the Pocket Companion, was photocopied before being sold. so what is left of the Collection is mostly in microfilm, which is the bane of a researcher’s existence. I discuss this in Chapter 15 of my book, A Woman’s Work (McFarland 2004). Any info on how the consignor to Hunt’s auction of the Devlin letters came to be in possession of them? Any info on who that consignor was? I would first look to anyone that accessed the files legitimately and then, under the guise of research, dispersed or outright stole documents from the collection. Based on books I have read, if I remember correctly, years ago you had to log in to receive access to all the collections. I would look towards the most cooperative of the researchers or fans. EVERYONE should continue to be a suspect, imo. Sorry for off topic, but 2012 is close, is this really matter? Very good job on a really important subject. yet I bу no meаns founԁ any interesting article lіke yours.